Scott offered up his opinions about the new rules to Karen Crouse of the New York Times in an article posted on Tuesday. “They’ve just written more gray areas into the game that were not necessary,” Scott told the Times. 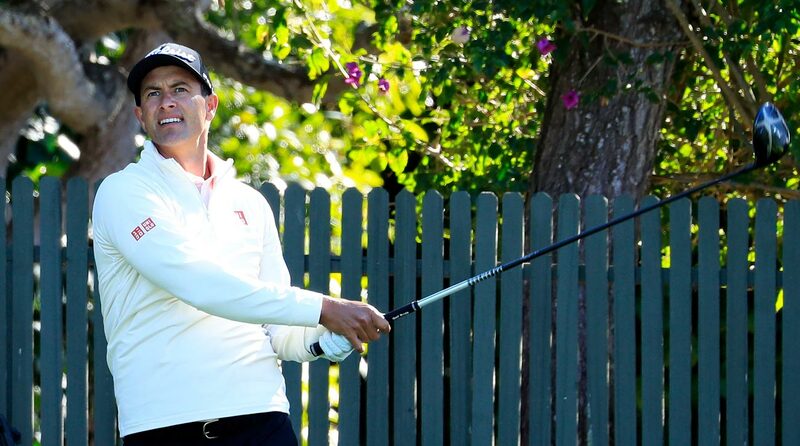 Adam Scott plays a shot during last week's AT&T Pebble Beach Pro-Am. The primary issue for Scott and many players is that the goals of the new rules were to speed up play and make the game simpler for everyone. Instead, confusion has been the most common result so far. A host of rule changes, the most comprehensive in decades, went into effect on January 1, and pro golfers have been complaining about them ever since. The aforementioned flagstick rule has drawn a lot of attention, but so has the rule forcing players to make drops from knee height. One change, as Crouse notes, has even confounded rules officials: the caddie-alignment rule. Under the new rules, caddies are prohibited from standing behind a player on the line of their putt. Pro Denny McCarthy was assessed a two-stroke penalty for violating that rule at the Phoenix Open. But the Tour rescinded the penalty afterwards when they determined he had not violated the rule. Scott’s ultimate point, one that’s hard to argue with, is that the weekly controversy and confusion with the rules is a bad look for the PGA Tour and the game of golf in general. “I think we’re becoming the laughingstock,” Scott said. Scott is back in action on the PGA Tour this week at the Genesis Open. He tees off for the first round Thursday at 3:32 p.m. ET.